At one point late last year it seemed that Gambia would see a peaceful transfer of power after President Yahya Jammeh conceded defeat in the election held on 1 December. He accepted that Adama Barrow, for the Coalition 2016, had won the election and that he would step down on 19 January. However on 9 December he had a change of mind. In the latest part of David Seddon’s project on political transitions and democratic elections on the continent, he looks at the election, the defeat of Jammeh and the dramatic about-turn in the days and weeks after the poll. President Yahya Jammeh seized power in a military coup in 1994, ousting Dawda Jawara, who had led Gambia as President since independence in 1965. Jammeh remained President through successive elections held in 1996, 2001, 2006 and 2011. The two decades of Jammeh’s presidency were characterised by the systematic suppression of dissent, restrictions of freedom of the press, and many allegations of human rights violations. Jammeh also expressed idiosyncratic views and took corresponding actions, such as claiming to cure various diseases such as HIV/AIDS and cancer with herbs, conducting literal witch hunts, and persecuting homosexuality. In 2011, he said that, God willing, he could ‘rule for a billion years’. He was therefore confident that the presidential elections of December 2016 would prove little different in their outcome than the previous four. Uniquely in Africa, the President of the Gambia is elected in one round by plurality vote for a five-year term. Instead of using paper ballots, elections in the Gambia are conducted using marbles. Each voter receives a marble and places it in a tube on top of a sealed drum that corresponds to that voter’s favoured candidate. The drums for different candidates are painted in different colours, corresponding to the party affiliation of the candidate, and a picture of the candidate is affixed to their corresponding drum. The system has the advantages of low cost and simplicity, both for understanding how to vote and for counting the results. The method is reported to have an extremely low error rate for miscast ballots. In November 2016, the Independent Electoral Commission of Gambia registered three political organisations and three candidates, each nominated by their party: Mama Kandeh, for the Gambia Democratic Congress (GDC), Adama Barrow, for the Coalition 2016 – a grouping of seven opposition parties – and Yahya Jammeh, representing the Alliance for Patriotic Re-Orientation and Reconstruction (APRC). Two other political parties – the National Democratic Action Movement (NDAM) and the Gambia Democratic Party (GDP) – were disqualified by the Commission under the rules established for the election, which included residency requirements for party officials, the establishment of offices in the seven administrative regions of Gambia, and the submission of audited accounting records. Adama Barrow, a real estate businessman, had never held any political office – although he had been a member of the United Democratic Party (UDP) and had previously served as its treasurer, but had resigned his party membership to enable him to run as an independent in the presidential election. The coalition that he represented included, in addition to the UDP, the People’s Democratic Organisation for Independence and Socialism (PDOIS), the National Reconciliation Party (NRP), the Gambia Moral Congress (GMC), the National Convention Party (NCP), the People’s Progressive Party (PPP) and the Gambia Party for Democracy and Progress (GPDP). Barrow referred to Jammeh as ‘a soul-less dictator’ and said that, if elected, he would reverse some of Jammeh’s key actions and policies, including withdrawing from the Commonwealth and from the jurisdiction of the International Criminal Court (ICC). He said that he would introduce a two-term limit for the office of the presidency and conduct a judicial reform, ensuring an independent judiciary. He also stated that he intended to ‘put aside all party, tribal, religious, gender and other differences’ to ‘unify a divided nation’ and to ‘promote and consolidate democracy, the rule of law, good governance and respect for human rights’. The only recognised opposition party not in the Coalition, the Gambia Democratic Congress (GDC), fielded its own candidate – Mamma Kandeh, a former deputy of the ruling party who had been expelled by the APRC. The GDC was Gambia’s youngest political party, having been formed in the summer of 2016 by Kandeh along with some other former key members and supporters of the APRC. It had gained some popular support and was involved in some of the early discussions that led to the formation of the Coalition, but the negotiations broke down about its position in the alliance and the attitude of some members of the other parties toward the GDC, so it did not join. Some members of other opposition groups accused the GDC and its backers of trying to divide the opposition so that Jammeh would win. The two week campaigning period prior to the elections was largely peaceful, despite large rallies held for both government and opposition parties. However, social media – including mobile messaging applications, like WhatsApp and Viber, were blocked by the Gambian authorities before the election and internet and international telephone access was also blocked. International observers were banned but a few observers from the African Union were allowed to follow the voting. President Jammeh made it clear also that protests after the election would not be tolerated, saying: ‘in this country we do not allow demonstrations’. The elections were held on 1 December 2016, and turnout was reasonably high at 59.3 per cent. On 2 December, even before the final results were announced, Jammeh conceded defeat, shocking a populace that had expected him to retain power. BBC News called it ‘one of the biggest election upsets West Africa has ever seen’. The final official results showed Barrow winning a 43.3 per cent plurality, achieving a 3.7 per cent margin of victory over Jammeh’s 39.6 per cent– with the third candidate, Mamma Kandeh, receiving 17.1 per cent of the votes. Immediately following the election, 19 opposition prisoners were released, including Ousainou Darboe, the leader of Barrow’s original United Democratic Party (UDP). If the outcome of the election had been followed by a transfer of power, it would have marked the first change of presidency in Gambia since Jammeh’s military coup in 1994, and the first transfer of power by popular election since independence from the UK in 1965. Thousands took to the streets of Banjul, the capital city, to celebrate the surprise victory, although they were stunned by Jammeh’s concession of defeat. As we have stated above, a few days after the election, 19 opposition prisoners were released, including Ousainou Darboe, the leader of the UDP. Darboe had been arrested in April 2016 and sentenced to three years in prison, and it was his arrest that had led to Barrow’s candidacy. However, some expressed caution about what Jammeh might do next – suggesting that he could still try to retain power despite what had happened. One businessman said: ‘I will only believe it when I see him leaving state house. He still controls the army, and his family is the top brass’. Interviewed shortly after the election, Barrow thanked the Gambian people, including those in the diaspora, and appealed to them to put aside their differences and work together for the development of their country. He said: ‘I know Gambians are in a hurry but not everything is going to be achieved in one day. I would therefore appeal to all Gambians and friends of the Gambia to join us and help move this great country forward. I don’t want this change of regime to be a mere change. I want it to be felt and seen in the well-being of the country and all Gambians. So we are calling on all Gambians and friends of the Gambia to help us make the Gambia great again’. Barrow stated that his early priorities include helping the agriculture sector. He said: ‘we don’t have minerals here. The backbone of this country is agriculture. … Under President Yahya’s government, all those farming centres collapsed completely, and they no longer exist’. Asked about his plans for judicial reform, he said: ‘we want a free and independent judiciary whereby nobody can influence the judiciary. We will put laws in place to protect those people running the judiciary. They will have that job security, they will have that independence. We will reduce the powers of the president’. The sceptics, who had worried that Jammeh would seek to retain power, were, however, proved correct. For, on 9 December, he appeared on Gambian state television and announced that he had ‘decided to reject the outcome of the recent election due to what he referred to as ‘serious and unacceptable abnormalities … during the electoral process’. He said that a new election should be held under ‘a god-fearing and independent electoral commission’. This announcement came shortly after Fatoumata Jallow-Tambajang, the chair of the opposition Coalition, called for Jammeh’s prosecution within a year of the handing over of power in January 2017 and said ‘We are going to have a national commission for asset recovery’ to obtain the return of money and property from Jammeh and his family. The UK’s Guardian African correspondent speculated at the time that the prospect of prosecution under a new government might have led security and military leaders to back Jammeh. 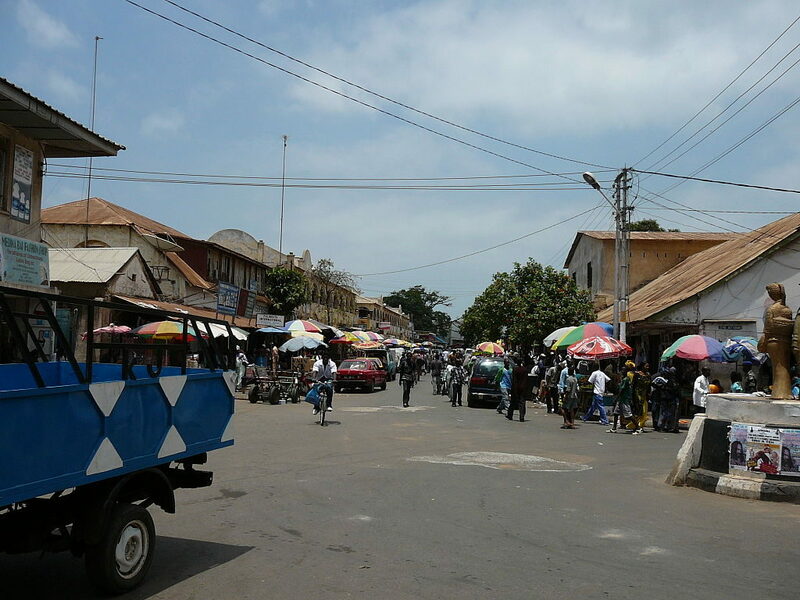 By 10 December the army was deployed in key locations in Banjul, the capital, and sandbagged positions set up with machine guns, although people were generally waved through at the checkpoints; troops were also deployed in Serekunda, the Gambia’s largest city. Jammeh’s rejection of the results and mobilisation of the army was condemned by Barrow, who said that Jammeh did not have the constitutional authority to nullify the vote and call for new elections, arguing that only the Independent Electoral Commission could do that. The third candidate in the election, Mamma Kandeh, also called on Jammeh to step down, saying ‘your swift decision earlier to concede defeat and your subsequent move to call Adama Barrow to congratulate him was lauded throughout the world. We therefore prevail on you to reconsider your decision’. Alieu Momarr Njai, the head of the elections commission, said that if it went to court, they would be able to show that the final tally was correct. Several professional organisations within Gambia condemned the rejection by Jammeh of the election results. The Gambia teachers’ union called Jammeh’s action ‘a recipe for chaos and disorder which undoubtedly endangers the lives of all Gambians ’. The Gambia Press Union, the University of the Gambia, the country’s medical association and the Supreme Islamic Council also supported the view that Jammeh should step aside and allow Barrow to assume the presidency. In the meanwhile, however, the APRC said it would follow up Jammeh’s statement by petitioning the Supreme Court to invalidate the election results, meeting a 10-day deadline established by law for contesting an election. According to human rights groups interviewed by Reuters, Jammeh continued to wield considerable influence over the courts. Of the three Chief Justices between 2013 and 2015, one was jailed, another was dismissed, while the third fled the country after acquitting someone that Jammeh wanted convicted. There is currently a Chief Justice in post, but there has not been an active Supreme Court in the country for a year and a half (since May 2015), and it was thought that at least four additional judges would have to be hired in order for the Supreme Court to convene to hear the case. On 12 December, the Gambia bar association held an emergency meeting. They called Jammeh’s rejection of the election results ‘tantamount to treason’. The bar association also passed a unanimous resolution calling for the resignation of the Chief Justice of the Supreme Court, Nigerian judge Emmanuel Oluwasegun Fagbenle, for gross misconduct – saying he had become politicized. They said he had shown a lack of independence and impartiality by participating in active campaigning for the APRC as the election approached and inappropriately interfering with decisions made by judicial officials. It was announced that a delegation of four West African heads of state would go to Gambia on 13 December to persuade Jammeh to accept the results of the election and step down. These included the President of Liberia and chair of ECOWAS Ellen Johnson Sirleaf, the President of Nigeria Muhammadu Buhari, the (outgoing) President of Ghana John Mahama, and the President of Sierra Leone Ernest Bai Koroma. The African Union said it also planned to send a negotiating delegation to Gambia, led by President of Chad and chair of the AU Idriss Déby. Federica Mogherini, the High Representative of the European Union for Foreign Affairs and Security Policy, issued a statement saying that the European Union requested Jammeh to respect the outcome of the election and step down, and that ‘any attempt to reverse carries the risk of serious consequences’. The four regional leaders sent by ECOWAS met with Jammeh, but left without an agreement. In the meanwhile, on 13 December, security forces took over the offices of the election commission and prevented the chief of the commission and its staff entering the building. The APRC also submitted its appeal seeking the invalidation of the results. Barrow said he had moved to a safe house for protection. According to supporters protecting Barrow’s residence, the police and military of the Gambia had declined to protect the president-elect. On 14 December, United Nations officials said that Jammeh would not be allowed to remain head of state and would face strong sanctions if he continues to try to do so after his current term expires. Ban Ki-moon, the Secretary-General of the United Nations, said the refusal to accept the election result was an ‘outrageous act of disrespect of the will of the Gambian people’. Mohamed Ibn Chambas, the United Nations Special Representative for West Africa and the Sahel said: ‘for Mr. Jammeh, the end is here and under no circumstances can he continue to be president. By that time (18 January), his mandate is up and he will be required to hand over to Mr. Barrow’. When asked whether the UN would consider military action to force Jammeh’s departure, Chambas did not rule out the possibility – saying only ‘it may not be necessary. Let’s cross that bridge when we get there’. On 16 December, ECOWAS issued a statement saying that Barrow ‘must be sworn in’ in order to ‘respect the will of the Gambian people’, and that it would ‘undertake all necessary actions to enforce the result of the election’. ECOWAS appointed Muhammadu Buhari as its chief mediator for the dispute and appointed John Mahama as co-mediator. On 19 December, the AU expressed its full support of the position taken by ECOWAS. Idriss Déby, chair of the AU, called ECOWAS’s position a ‘principled stand with regards to the situation in The Gambia’. Despite pressure from regional leaders, however, Jammeh, speaking on television on the evening of 20 December, said that a new election was necessary: ‘I will not cheat, but I will not be cheated. Justice must be done and the only way justice can be done is to re-organise the election so that every Gambian votes. That’s the only way we can resolve the matter peacefully and fairly’. Striking a defiant tone, he rejected any foreign interference and declared that he was prepared to fight. He stated that he would not leave office at the end of his term in January unless the Supreme Court upheld the results. Six additional appointments to the Supreme Court (five from Nigeria – Habeeb A.O. Abiru, Abubakar Datti Yahaya, Abubakar Tijani, Obande Festus and Akomaye Angim – and one from Sierra Leone – Nicholas Colin Brown) were reported to have been made in secret, starting in October 2016, with the cooperation of Chief Justice Fagbenle. One of the newly appointed justices, Akomaye Angim, is a former Chief Justice of The Gambia. However, it was not clear whether the new justices had all accepted their appointments – especially in the case of Abiru, who was reported to be planning to reject his appointment and to meet with other appointees who may do the same. On 23 December, ECOWAS announced that it would send in troops if Jammeh failed to step down. The president of ECOWAS, Marcel Alain de Souza, said that the deadline was 19 January, when the mandate of Jammeh ends. The military intervention would be led by Senegal. De Souza said: ‘if he doesn’t go, we have a force that is already on alert, and this force will intervene to restore the will of the people’. On 27 December, Adama Barrow called on Jammeh to give up power peacefully, and said that he had no wish to lead a country that was not ‘at peace with itself’. Barrow has said he will declare himself president on 19 January 2017. In a message posted on social media, he urged ‘all peace-loving Gambians to advocate, pray and work for a peaceful transfer of executive power for the first time in our history since independence’, adding that ‘if the colonialists could peacefully hand over executive powers in accordance with the dictates of the people of The Gambia, we, the citizens, should be able to show a better example to our children’. Hours before the deadline Senegal still maintains its troops are ready to intervene if Jammeh refuses to hand over power. Jammeh has replied that he would not be intimidated, and ECOWAS had no right to interfere in The Gambia’s affairs. In the morning of 18 January, following high-level resignations of senior ministers, Gambia’s parliament extended by 90 days Jammeh’s term in office and granted a state of emergency for the same period.